One of the hardest challenges faced by any company is terminating employees. While this is a difficult task, there are some critical steps to take to safeguard your company property and knowledge – and timing is everything. A terminated employee getting access to company systems can be a huge liability risk, so it’s essential that access is turned off at the right time. Let your IT company (or IT department) know ahead of time – and specifically, what time the access needs to be turned off. This gives them a little time to prepare and prevents awkward – and potentially risky – situations. If access is not disabled soon enough, you run the risk of the terminated employee getting access to company systems after they’ve been let go. If access it turned off too soon, the employee may try to access their normal systems before they’ve been terminated and figure out what’s going on when they can’t get to them. Remove building access including any key card access to doors. If you’re building uses door codes, disabled or change their code. 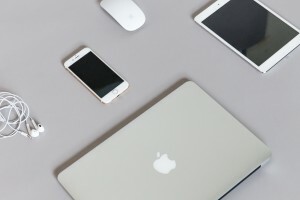 Wipe company information from any employee-owned devices that were used to access company data (even if your company doesn’t have a Bring Your Own Device policy, it’s likely they still used a cell phone to access email). If you don’t already have a mobile device policy in place, you need to get one in place now. Account for all Company owned equipment owned by the company with an inventory sheet. Account for software licenses designated for use by the employee and redistribute as needed. This list certainly isn’t everything. That’ll change based on your company and the employee being terminated. The longer an employee has been there, or the more access they have, the more you’ll need to do. It may feel weird to let your IT team know an employee is being terminated before the actual employee – but it’s a necessary step to keep your company’s data safe. Our friends at Propel HR have written more about this one their blog and why timing is so critical from an HR perspective. You can read their post on their blog.